It seems like Piddy Sanchez has unwillingly made an enemy of Yaqui Delgado, one of the toughest girls at Daniel Jones High, for reasons that Piddy still doesn’t understand. Did she accidentally look at Yaqui’s boyfriend? Does she really shake her hips too much when she walks? Piddy doesn’t really take Yaqui’s threat seriously at first – she’s too busy missing her best friend, trying to get good grades, and thinking about the father she’s never met. However, when Yaqui and her friends start messing with Piddy, staying out of their way becomes Piddy’s main goal in life. Her grades start to suffer, her relationship with her mom becomes more strained, and Piddy starts to become someone that she doesn’t recognize. This book is wonderful, and difficult, and emotionally draining. Piddy’s life is not easy, even before Yaqui decides that Piddy is stuck up and needs a beat down. Her mother has high standards for Piddy, but is not at all forthcoming about Piddy’s father or much of her life. Piddy only has one good friend, who moves away to the suburbs, leaving Piddy to cope with starting a new school by herself. Piddy has a small support system, especially in her mother’s best friend, Lila. 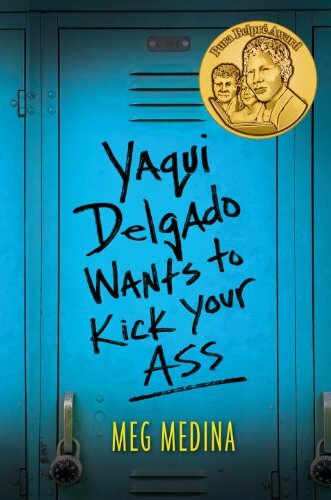 However, no one can protect Piddy from Yaqui Delgado and the fear that Piddy experiences when she becomes the prey of this powerful schoolyard bully. Why is this book difficult? One reason is because it’s so well written. Piddy’s fear seeps through the pages and into your head as you read. Meg Medina has created a fully-realized character in Piddy Sanchez, and the women who surround her, her mother and Lila, are surprisingly well-rounded as well. As Piddy faces many difficult and scary decisions about her life and her future, you will also share her pain, her confusion, and her hope for a better life. I would highly recommend this book to anyone, anyone at all. Meg Medina has written a book that every teen should read, regardless of whether you’ve ever been a victim of bullying or harassment. 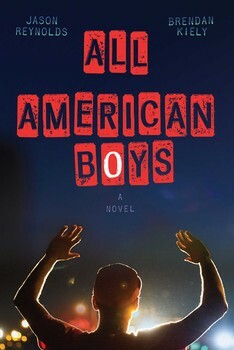 This book is funny, touching, scary, and, most importantly, very realistic. In the land of Gorred, dragons walk among humans in human-like bodies as scholars and dignitaries. Though humans and dragons live together, their uneasy relationship persists as the memory of the dragon wars lives on. Dragons – logical, intelligent, skilled and engineering and technology – are the opposites of the Luddite Gorredis, who value art, emotion, and religion. Stuck somewhere in the middle is Seraphina Dombegh, newly appointed assistant composer at the court of Gorred, who must hide the terrible secret of her existence: she is half-human, half-dragon. 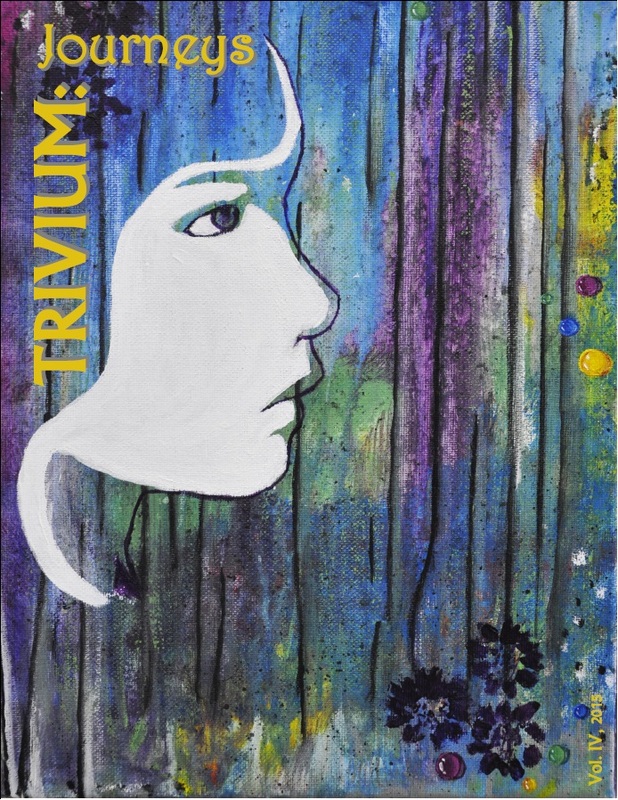 Seraphina lives in constant fear of her true identity as the daughter of a dragon being discovered, even as she makes a name for herself as a talented musician and close confidant of the Princess Glisselda and her cousin/fiancee, Prince Lucian Kiggs. 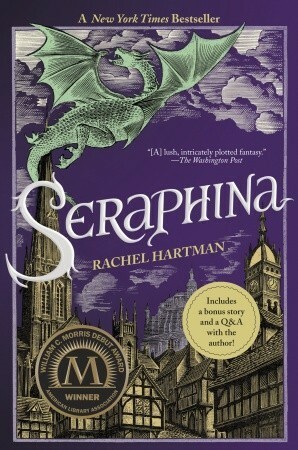 When a member of the royal family is killed in decidedly draconian fashion, Seraphina finds herself mixed up in the investigation, which leads her deeper into the realm of human-dragon politics, uneasy peace, and a fell plot to derail the treaty between the human and dragon worlds. While she struggles to puzzle out the meaning of the Crown Prince’s death, Seraphina also grapples with her inner-demons – a “mind-garden” of grotesques that, if not tended through meditation, will cause her to suffer fits, visions, and fainting spells. This duology is a beautifully written, fully-fleshed, and engaging high fantasy that any LotR, HP, or Eragon fan would love. While magic is clearly present, issues of faith versus reason, love and loyalty, and self-acceptance take center stage in this series. Hartman’s characters are all three-dimensional, complicated, and entirely believable (in a fantasy, no less!). Though the first book is over 400 pages long, the plot never drags. Hartman’s story-telling is well-executed and her prose is beautiful and sophisticated. 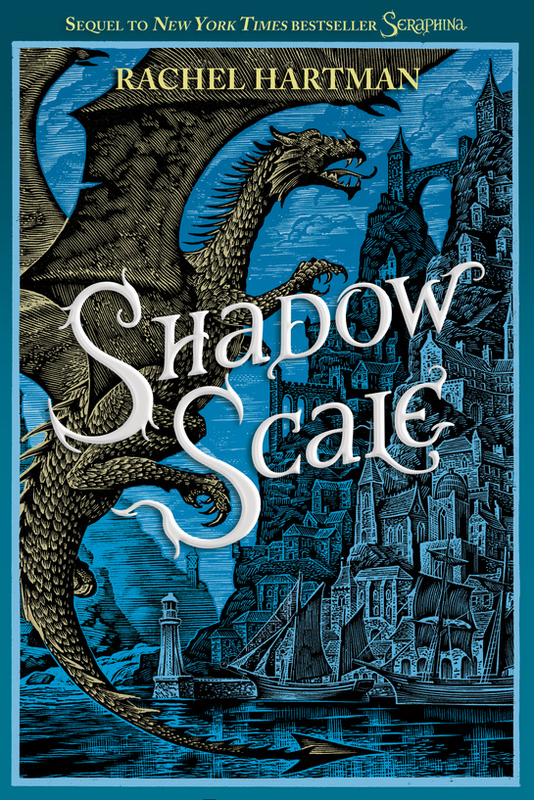 If you are looking for a fantasy series that will challenge your beliefs, raise philosophical questions, make you feel smarter, AND entertain you in the best way, check out Seraphina and Shadow Scale by Rachel Hartman today! …kindly monsters, evil angels, hands that burn, forbidden love, Shadows that Live, characters inspired by world mythologies, rabid fairies, sinister fake-grandmas, exotic locations, hidden past lives, and really excellent writing. This is not your run-of-the-mill human-falls-for-angel story. Oh, no. This series is something much more special. If you’re in the mood to be swept up and away on a grand adventure and you don’t mind spending hours with your nose in a book, this is the series for you. Fans of Shadow and Bone by Leigh Barduga, City of Bones by Cassandra Clare, and The Brides of Rollrock Island by Margo Lanagan will surely love this series. Super bonus! The rights to the story have already been purchased and, eventually, this series will become a movie franchise that I’m sure could compete with The Hunger Games. I hope that they give directorial control to someone like Guillermo del Torro or Bill Condon. Have you read this series yet? If so, have you checked out Laini Taylor’s newest installment in the series, Nights of Cake & Puppets? It’s a novella told from Zuzana’s point of view! Let me know what you think in the comments!